Welcome to the most unique unit in sought after Castello. 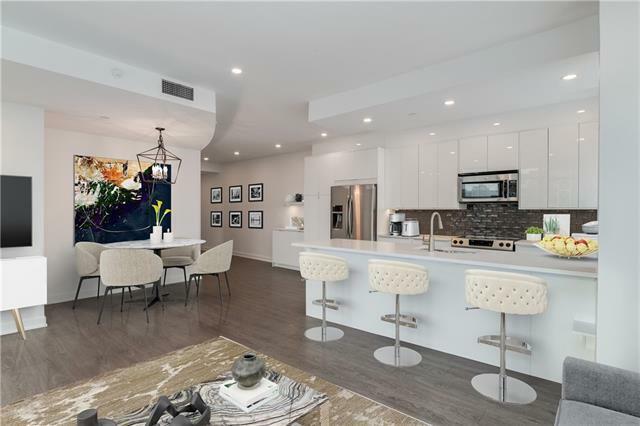 This sophisticated 2 bedroom, 2 bath European design condo has just been completely renovated and is move in ready. 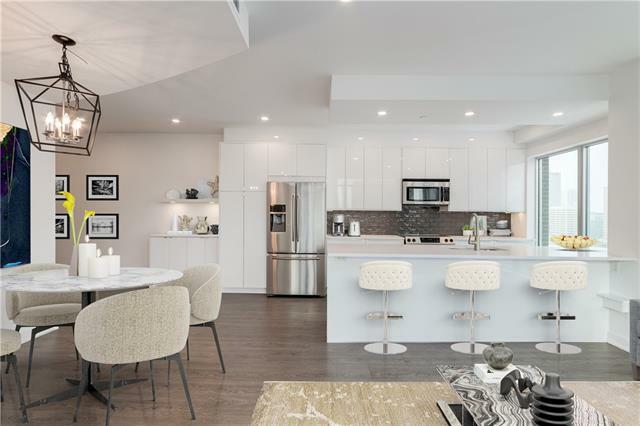 Featuring top of the line finishes including engineered flooring, quartz counters, soft closing cabinetry, Blanco kitchen sink, surround sound system, stainless steel appliances including a built-in wine fridge, and a built-in cubby vac system. The bright and open floor plan boasts nine foot floor-to-ceiling windows, open concept entertainment area, unique curved feature wall, a spa like glass shower, walk-in closets, in suite storage & laundry. 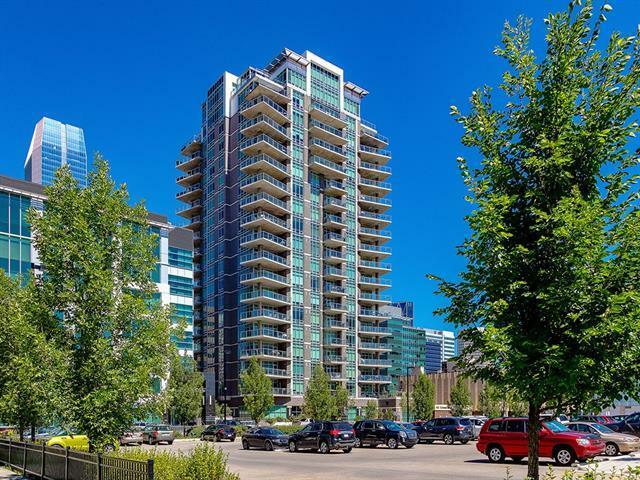 Entertain outside on your 250 sq ft terrace with incredible downtown views & a gas hookup for your bbq. 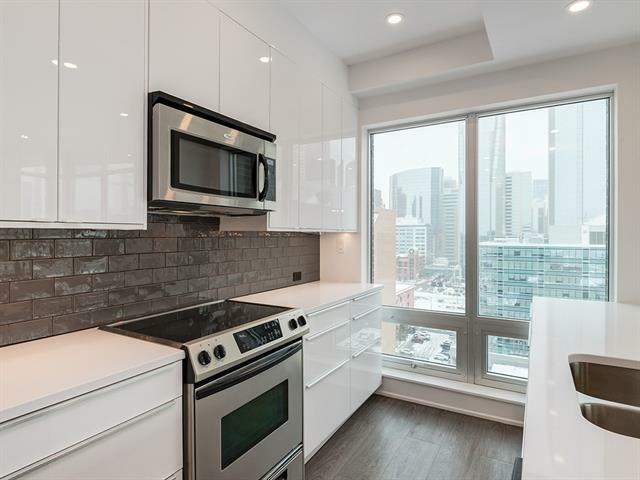 Amenities included in condo fees: part time concierge, state of the art fitness room, luxurious guest suite, multi-purpose room & car wash bay. Comes with 2 titled underground parking stalls & 1 titled storage unit. Both are secured & heated. Call today for your private viewing!